Harley is an attorney in Preti Flaherty’s Intellectual Property Practice Group. 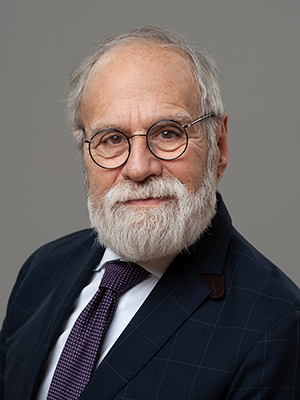 For more than 40 years, he has served clients’ business and intellectual property concerns around the world through brand protection strategies, major case litigation, and transactional counseling. Harley works with the governments, law enforcement, courts, and customs in over 75 countries to track and stop the flow of fake or infringing goods, developing and implementing cost-effective methods to protect his clients’ most valued assets. He also deals with trademarks, trade dress, copyright, unfair competition, anti-counterfeiting, infringement, and related issues in U.S. Federal Circuits and state courts, as well as in U.S. territories and possessions. He is currently engaged in cutting-edge litigation involving non-traditional trademarks such as color(s), shapes, fragrances, and sounds. An innovative transactional advisor, Harley developed a comprehensive document program for use by his clients in their global operations, and routinely provides counsel on domestic and international licensing programs, as well as offering day-to-day strategic counseling. A frequent guest of various media outlets, Harley has appeared numerous times on Good Morning America, CNBC, CBS 60 Minutes, MSNBC and CNN International to speak on issues related to brand protection. He was the first non-celebrity featured in the biography section of The New Yorker, in an extensive profile detailing his work tracking fashion forgeries. Harley defended one of the largest beverage companies in the United States in a trade dress action involving can graphics in the energy drink sector. Harley represented a U.S. footwear company in connection with an investigation and criminal and civil proceedings regarding illegal imports and seizure of over $2.5 million in counterfeit merchandise. Harley coordinated a three-country Customs effort in Latin America to interdict flow of counterfeit goods. Harley conducted multi-district litigation for multiple watch brands, obtaining a $4.5 million contempt judgment, seizing over 800,000 watches and $1,000,000 in cash, and breaking four global organizations. When Doing Business In China, Hire A Seasoned Practitioner!